Apple is still in an easy but distant second place, with 35.2 million iPhones sold, accounting for the largest portion of the remaining market with 11.9%. 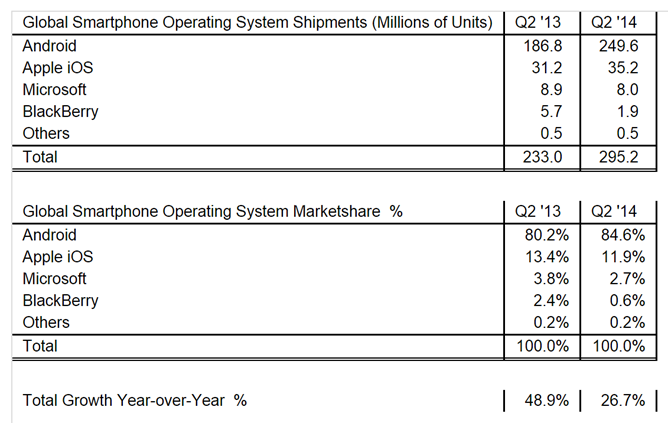 Apple's sales rose from last year, but total market share fell. 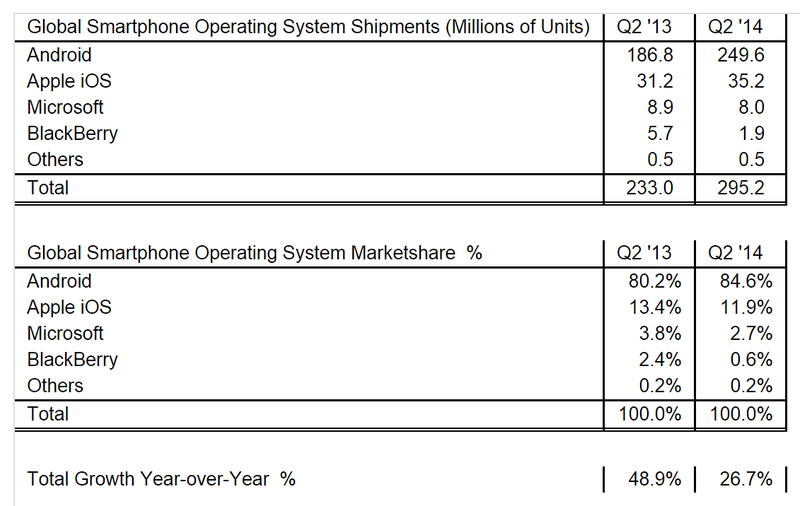 The closest competitor after that is Microsoft, with 8 million phones sold and 2.7% of the market, while Blackberry continues to tumble with only 1.9 million phones sold and .6% of the market, only one quarter of their share compared with last year. 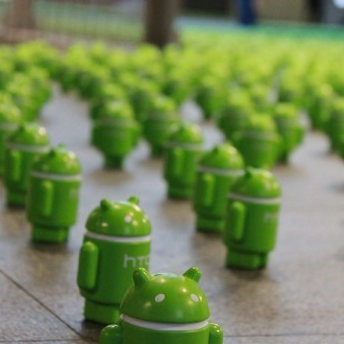 Strategy Analytics aren't the only ones who have taken notice of Android's dominant position. According to a report from Reuters, the European Commission (the EU's legislative body) is preparing a formal investigation into whether or not Google is abusing its superior market position to help prop up its other business interests, including Search, Maps, and the Play Store. Formal inquiries made to manufacturers reportedly include questions asking whether or not Google's partnership requires them not to load apps that would compete with existing Google services. Companies targeted in the inquiry are obligated to turn over emails and other records going back seven years. This isn't the first time that the Commission has been interested in Google for monopolistic practices. In 2010 the EC began investigating Google for abusing a monopoly position in the web search market. In response to the Commission's formal complaints in 2012, Google proposed and agreed to show at least some search results from rival search engines, along with other concessions. The Commission responded by saying that Google's concessions were not broad enough, threatening a 5 billion Euro fine. That suit was only settled in February of this year. The EU has a long history of investigating and prosecuting American technology companies for monopolistic practices. That isn't to say that Google is without fault - it's clear that while Google's search and web tools used to help promote Android, the opposite is now the case, and consumers are more likely to use Gmail or Google Maps because it's already integrated with their phones. The question that the Commission is looking to answer is whether Google is unfairly blocking other companies from reaching smartphone users with Android. Considering that the last European Commission investigation into Google's business practices took two years to be issued, and another two to be resolved, you can bet that you'll be hearing more about this in the future.